My friend Jennifer from Savoring the Thyme and I have been toying around with cooking together. It’s a little hard to do considering we lives in different states. However, we came up with a solution. We decided on a vegetable and then each did our own version of a meal. 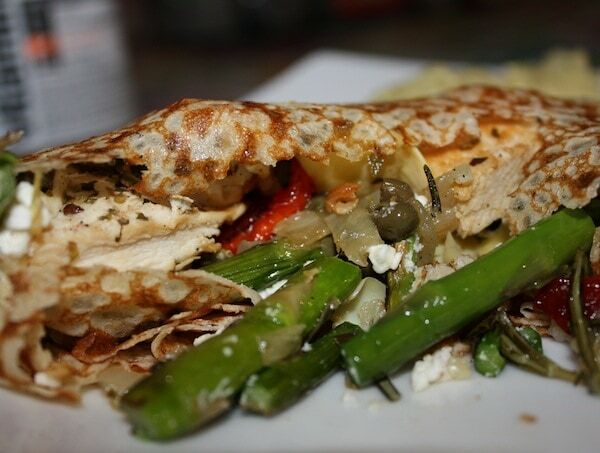 I came up with an asparagus crepe filled with chicken, sun-dried tomatoes, feta, artichokes and capers. YUM! 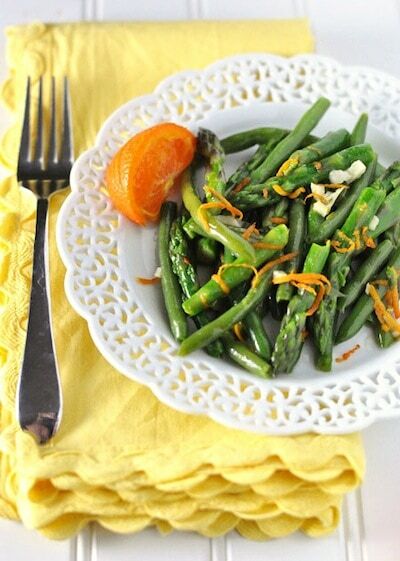 Jennifer came up with Citrus Garlic Oil Asparagus And Green Beans. Get her recipe here!! 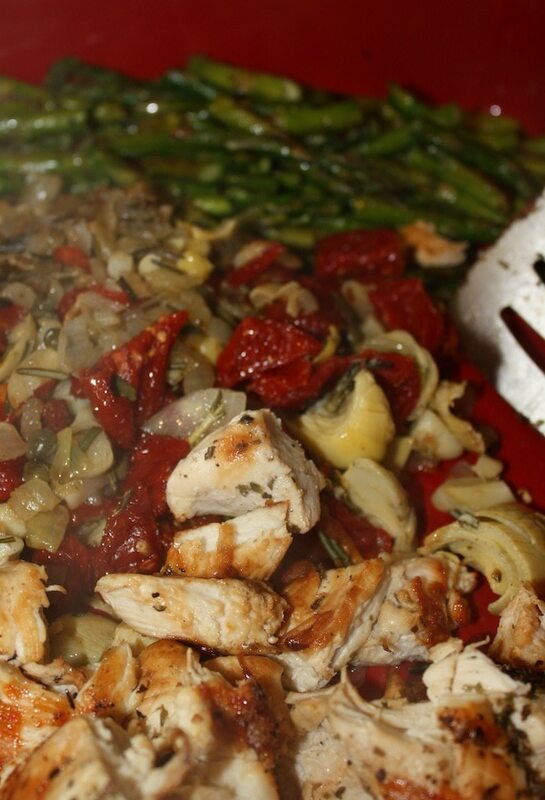 Cook the chicken and the asparagus as you normally would. 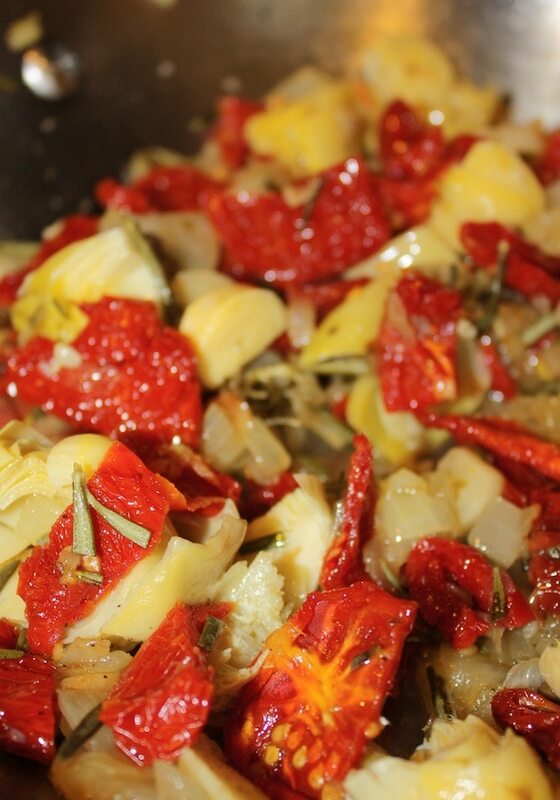 Meanwhile, in a pan, sautee onions, garlic, olive oil, sun-dried tomatoes, chopped artichoke hearts and rosemary. Add the capers at the very end. 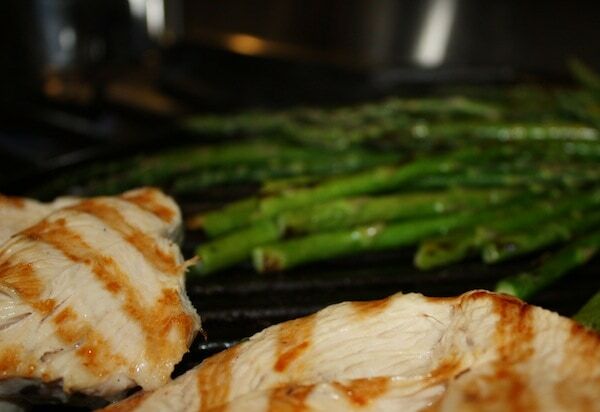 When the chicken and asparagus are cooked – cut them up and remove from heat. Open a crepe and fill the middle with the food. Top with feta cheese. 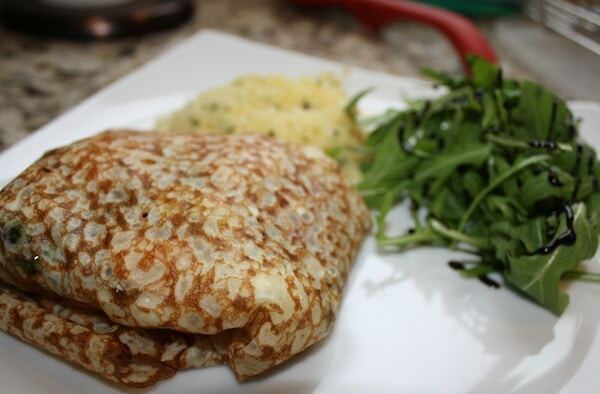 Fold the crepe and serve with salad and cous-cous. YUM!!! To see more of my ‘Inside the Kitchen’ posts, click here. First of all: I love cooking virtually with you although IRL is a must. Secondly, you used feta which means I love you forever. Finally, thank you for sharing an awesome recipe! Oh my, Vera. This recipe seriously includes all of my favorite foods. I am going to be making it very soon. Vera this looks delicious!! I’ll have to try one! Vera, your photos make me want to skip breakfast and head straight to the crepe! Some of my favorite ingredients, so this must be love. Can’t wait to try it and BTW, I love your idea of cooking virtually with someone. Heading over to snag Jennifer’s recipe too! First to tweet! I made this yesterday and it was delicious. My crepes fell apart, but I muddled through somehow…….! 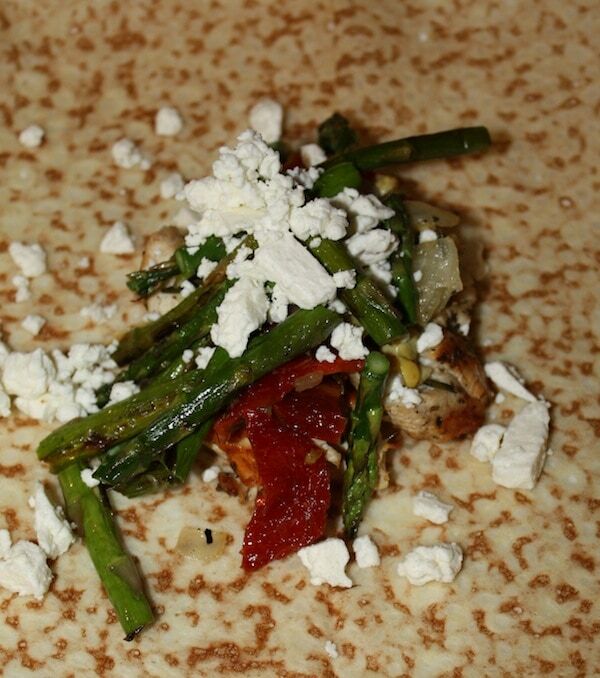 I love recipes that involve feta…even more ones with goat cheese. You think I could sub? Looks tasty! This comment is for the Queen Anne’s Revenge LEGO Playset contest.